A Mango scented, Acetone-Free Nail Polish Remover in a handy travel friendly bottle. It removes your Nail Polish in seconds without the need for cotton pads. Vitamin E: Protecting and conditioning. Pro-Vitamin B5: Provides flexibility to the nail. Insert finger into the pot, then slowly twist the pot with your nails pressed against the sponge for instant polish removal. Leighton Denny's passion for nails started over 20 years ago. After years of working with celebrities and on countless fashion shoots & high profile events, he decided to launch his own range - pouring all his passion and expert knowledge into a range of professional quality products. Since then, the range has evolved into one of the world's leading professional nail brands! Leading nail polish and nail care brand, with a huge range of hand creams, nail treatments & colours to choose from. Each Leighton Denny nail polish is extremely long-lasting, chip resistant and works to keep the nails looking gorgeous for longer; each nail treatment is fortified with a blend of nourishing and perfecting ingredients to keeps your nails strong and looking their best. One of their most famous products is the Crystal Nail File, which helps to keep your nails healthy and in shape, whilst looking beautifully on trend. 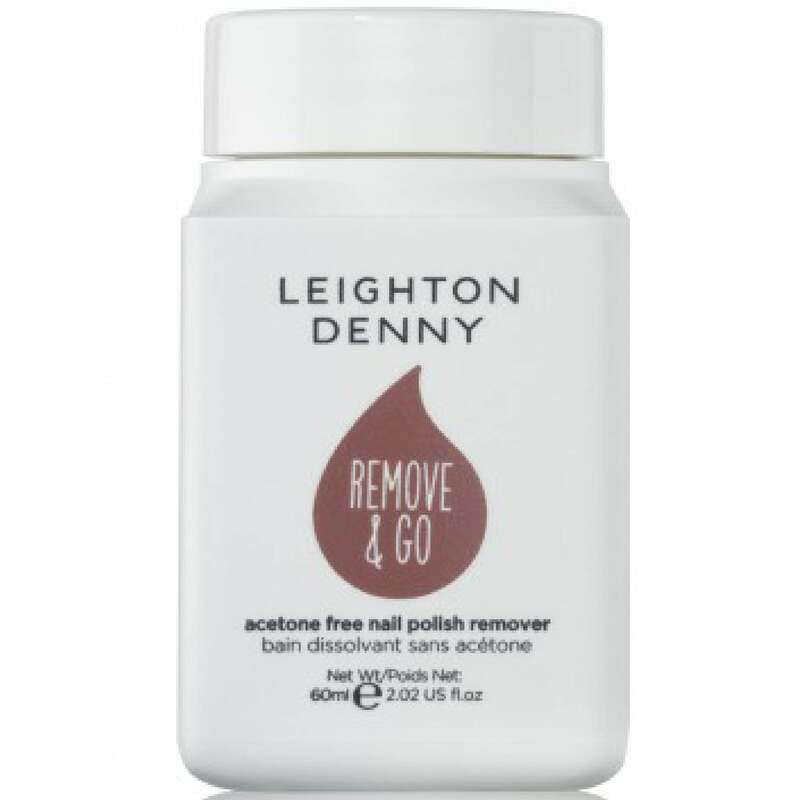 The eponymous line of nail products from award-winning celebrity manicurist and technician Leighton Denny. Get salon-quality manicures at home using this range of professional formulations, tools and seasonal colour ways.